Go back in time to the island charm of Old Florida... to the unhurried, congenial Florida of 40 years ago. 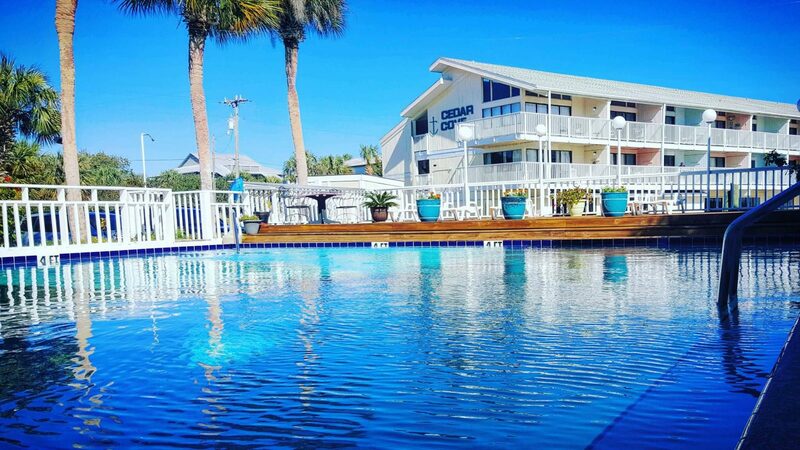 Cedar Cove is adjacent to the Cedar Key City Park Beach providing guests with prime beach and sunrise views on the gulf front. The hotel also has a large outdoor pool and tannig deck. Also enjoy The Island Room Restaurant at Cedar Cove. Offering breakfast, lunch, and dinner options.